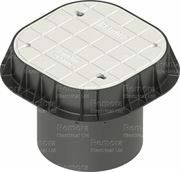 Remora Plastic Inspection Pits are designed to protect the earth rod connection while allowing secure access for later inspection of electrodes and conductors. The lightweight heavy duty plastic pit with its unique design results in performance capabilities superior to traditional concrete pits, at a similar cost. 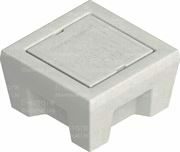 Providing an improved working area, the high-performance polymer material UV stable and chemical resistant, providing an impressive load rating of 5,000kg while weighing only 1.8kg.